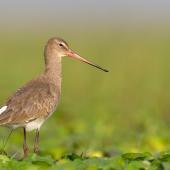 Geographical variation: Three subspecies: L.l. 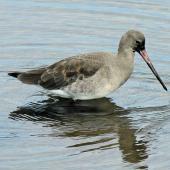 limosa from western Siberia and Europe; L.l. 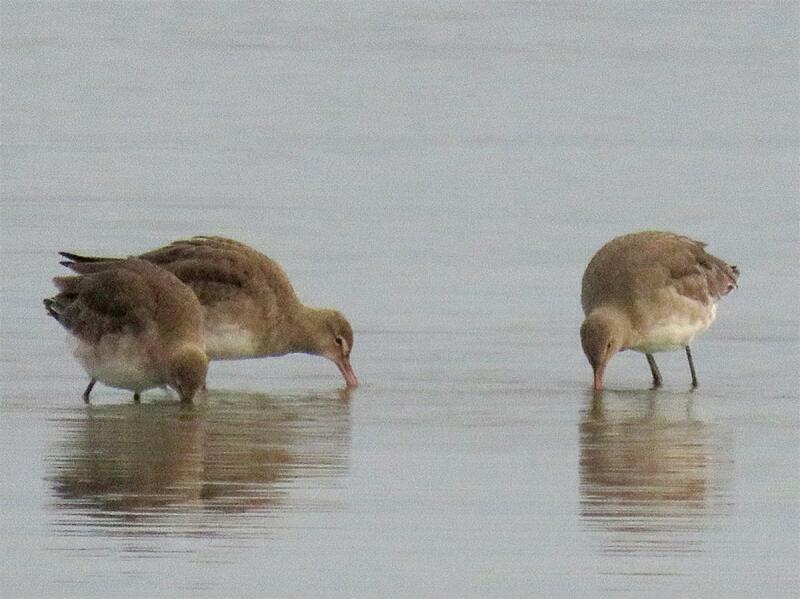 islandica from Iceland; L.l. 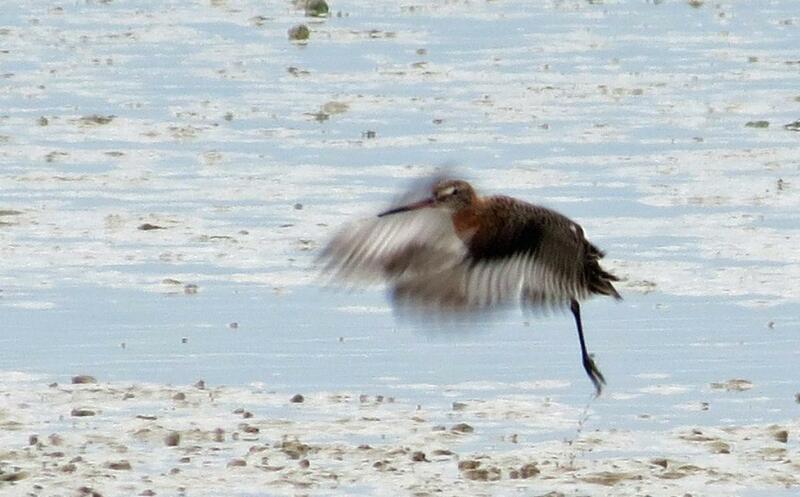 melanuroides (Asiatic black-tailed godwit) from eastern Siberia, Mongolia and north-east China. 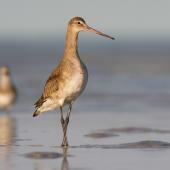 Godwits are four species of large, long-billed, long-legged waders that breed in the northern hemisphere. 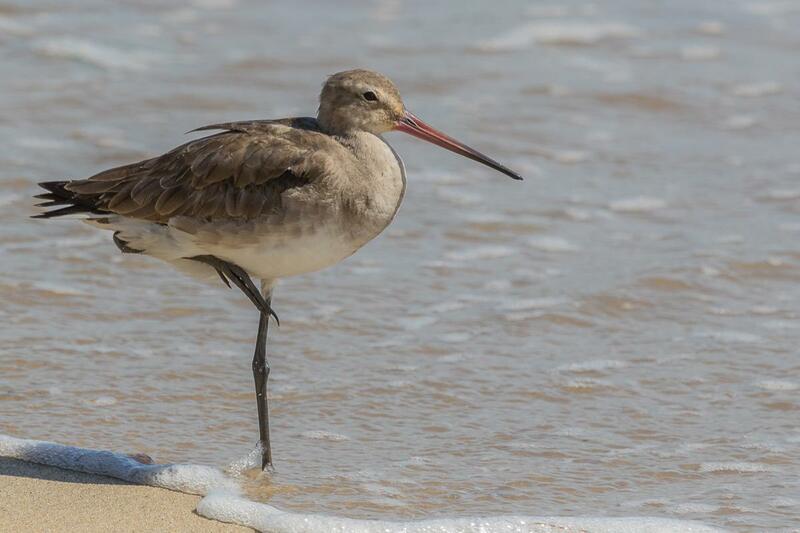 The Asiatic sub-species of black-tailed godwit, melanuroides, migrates from north-east Asia to wintering grounds in tropical Asia and Australia, with a small number annually over-shooting and reaching New Zealand. 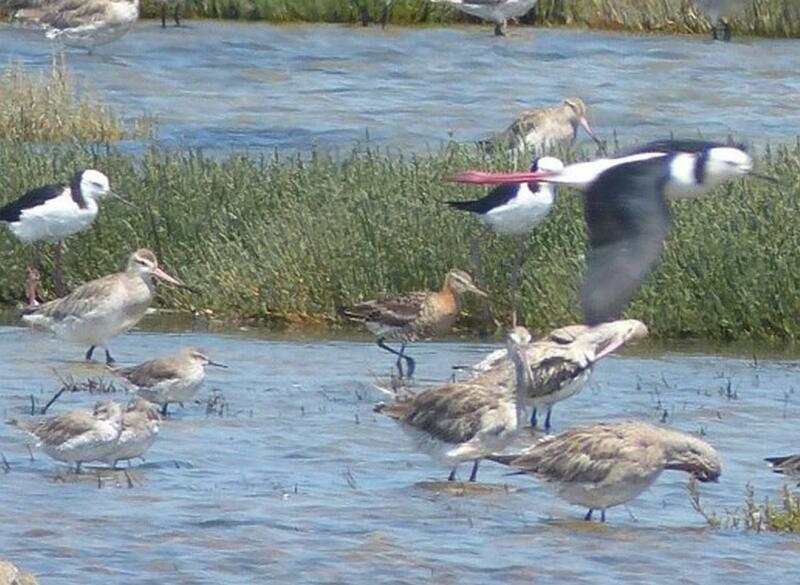 Here, they are mainly found at sites that hold large flocks of bar-tailed godwits, but the black-tailed godwits often keep to themselves, or prefer the company of pied stilts. 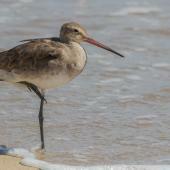 The black-tailed godwit is a large greyish wader with a long, straight, bi-coloured bill, long black legs and long wings. 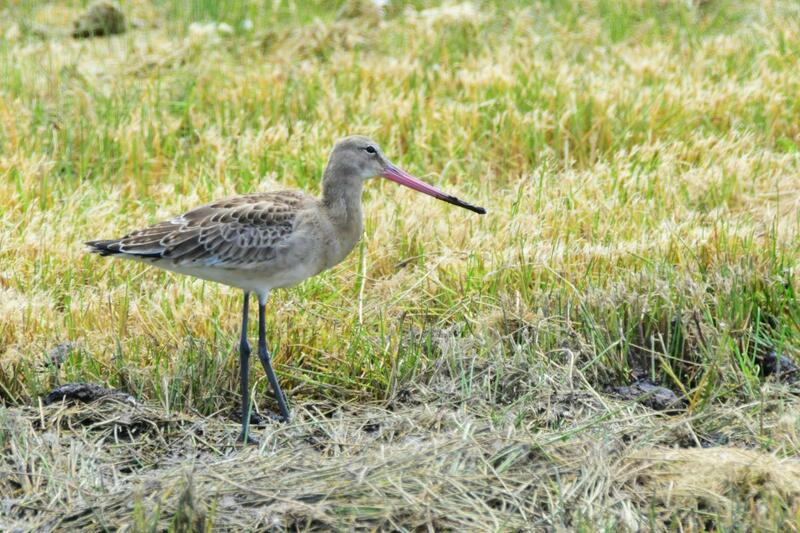 On the ground it looks very similar to the bar-tailed godwit, which is an abundant wader on most New Zealand estuaries. 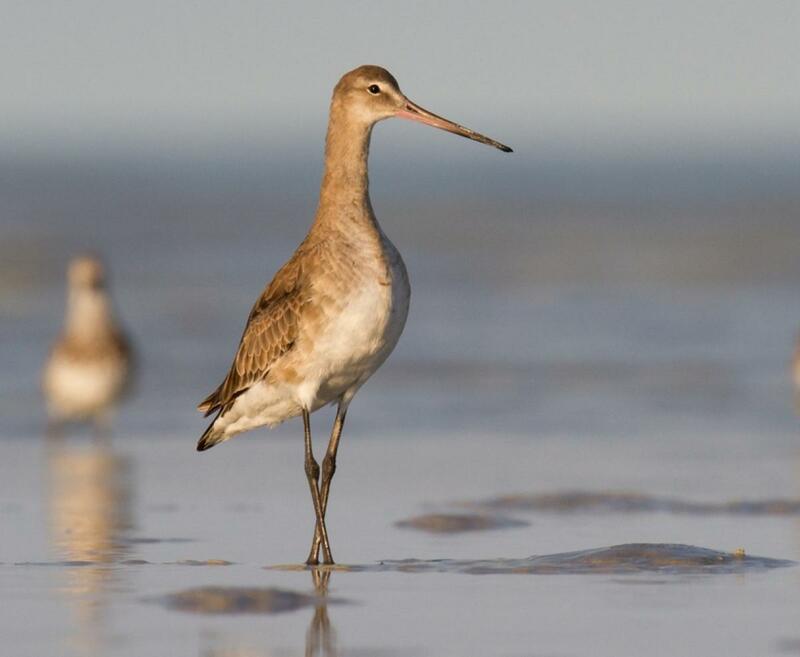 However, the black-tailed godwit has a slimmer profile, a straighter bill and smooth greyish upperparts and breast which appear subtly different to the browner and more “scaly” upperpart feathering of bar-tailed godwits. 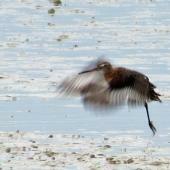 Identification is easily confirmed when a bird stretches or takes flight. 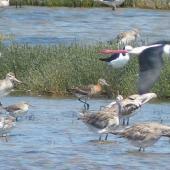 The distinctive black tail and white rump of the black-tailed godwit becomes very obvious and quite different to the brownish-barred tail and mottled rump of the bar-tailed godwit. 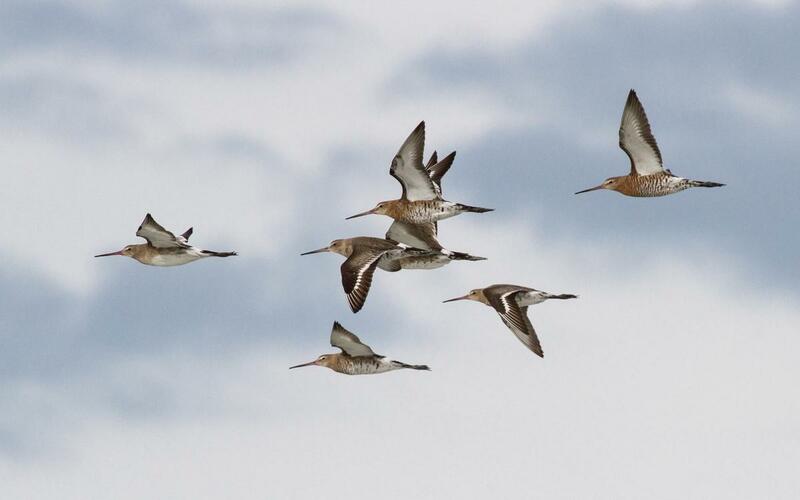 Likewise the broad white wing-bar contrasting with dark-tipped primary and secondary feathers is very conspicuous and allows a single black-tailed godwit to be spotted even when flying in the midst of a large bar-tailed godwit flock. 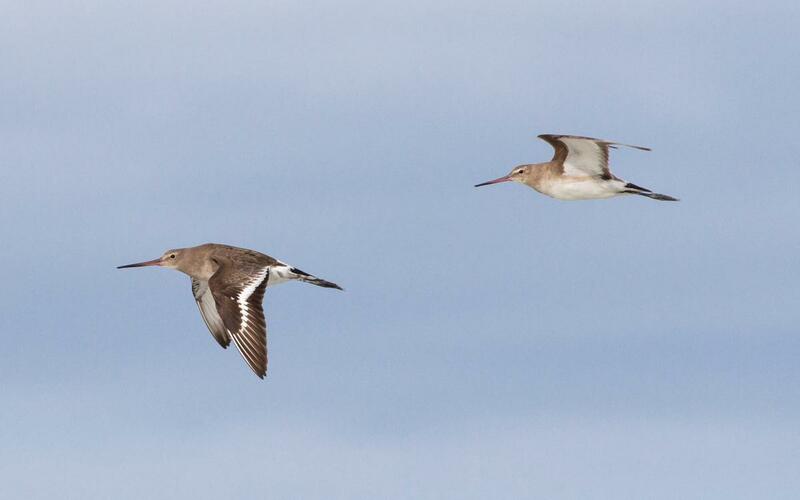 The underwings of the two are quite different as well, with the black-tailed godwit having a white underwing, compared to the heavily barred brown-and-white underwing of eastern bar-tailed godwits. 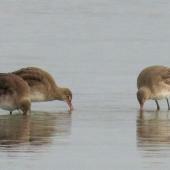 In breeding plumage (seen mainly in March and April), the neck, breast and belly become mottled with a chestnut-red wash and an intricate pattern of black and white barring. 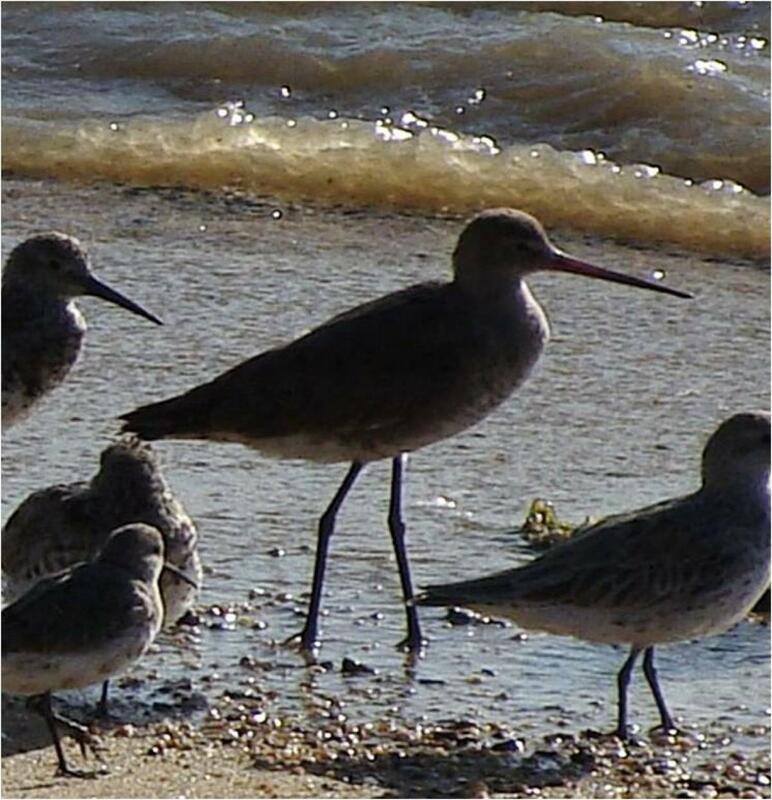 Similar species: the Hudsonian godwit is the American form of the black-tailed godwit. 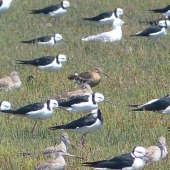 It differs in having a diagnostic dark underwing (particularly the inner wing) and having a smaller white bar on the upperwing. Asiatic black-tailed godwits breed in scattered pockets across eastern Siberia, Kamchatka Peninsula, Mongolia and north-east China. 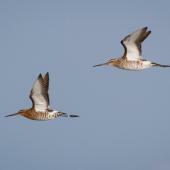 They have a more temperate breeding range than other godwits and prefer damp grasslands and marshes. 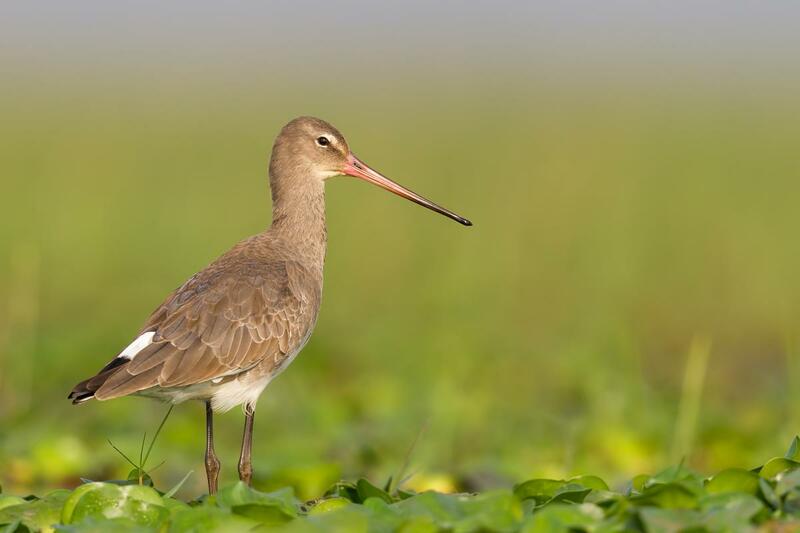 After breeding, they migrate in large numbers to India, South-east Asia and northern Australia where they occur on estuarine habitats as well as on inland lakes, flooded grasslands, freshwater wetlands and ricefields. 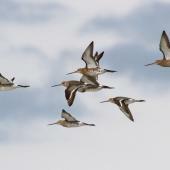 The global population of black-tailed godwit is estimated at over 700,000 birds with the Asiatic sub-species numbering about 160,000. 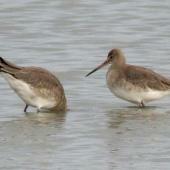 A tiny number, usually only 1-2, and rarely more than 10, reach New Zealand annually. 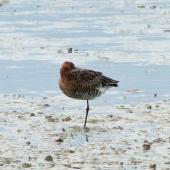 The black-tailed godwit was first recorded in New Zealand in 1952 at Miranda (Firth of Thames) and subsequently recorded from many mainland localities as well as the Chatham Islands and Auckland Islands (twice). 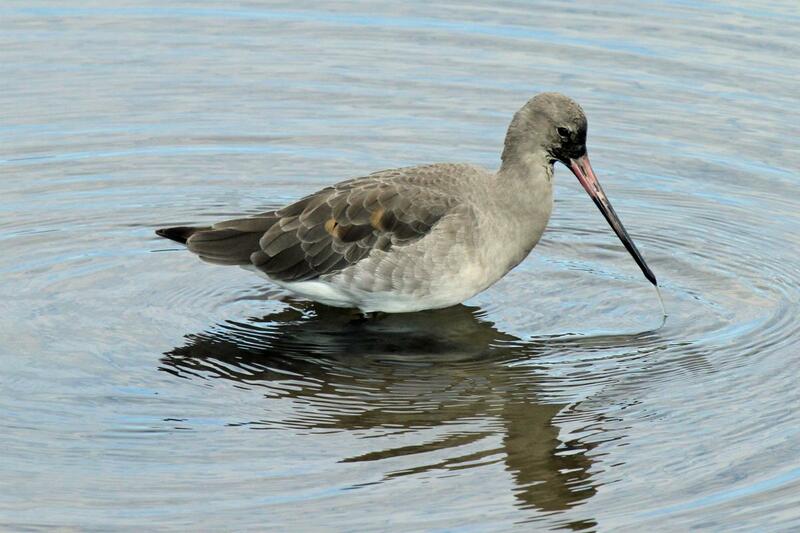 In New Zealand they tend to occur on estuarine and coastal lake habitats and are usually seen in the company of pied stilts or bar-tailed godwits. 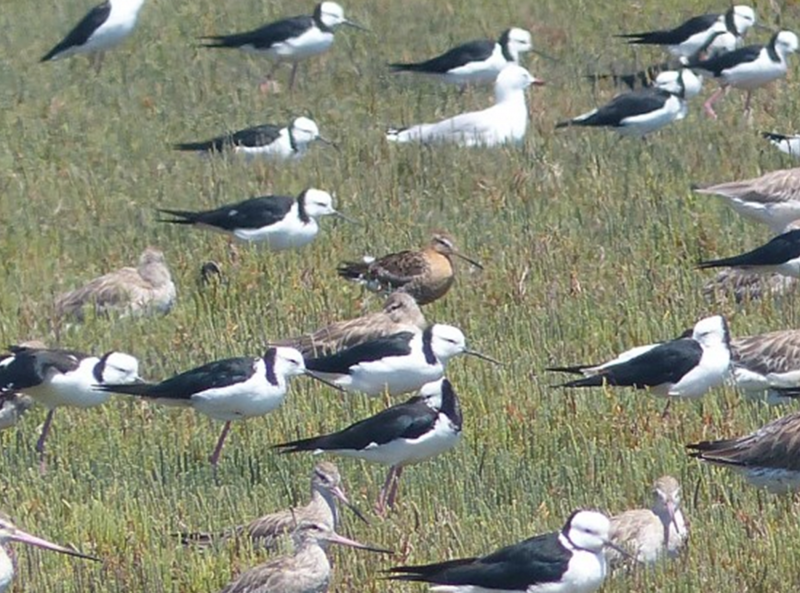 Occasionally small flocks have been recorded, including 6 at Miranda (1963), 3-8 at the Avon-Heathcote Estuary (1985-1988), and 11 at Lake Ellesmere (1985). 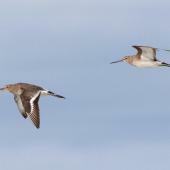 In the non-breeding season, black-tailed godwits are gregarious and usually form large flocks. 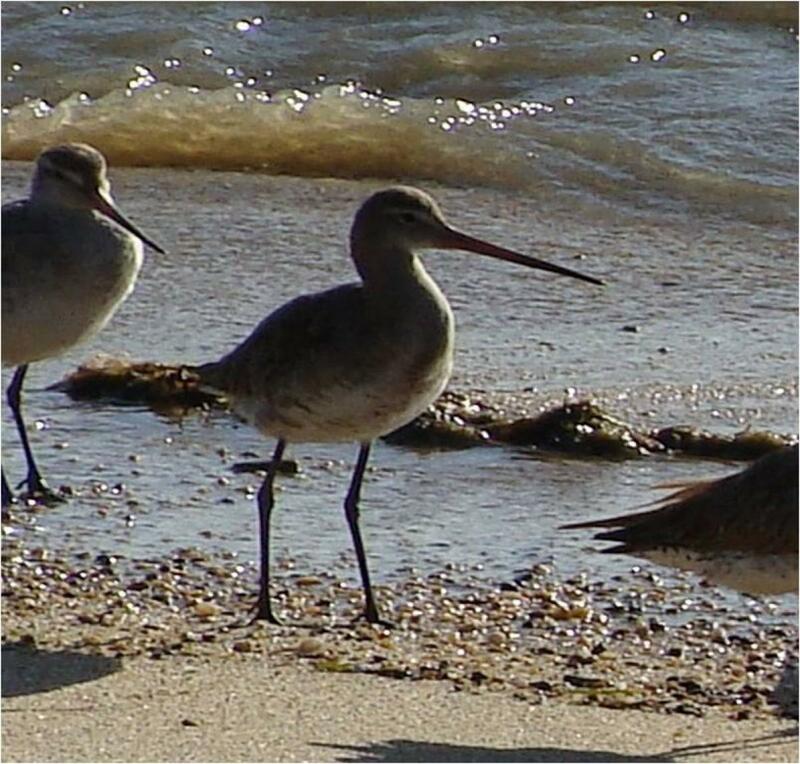 In New Zealand, birds tend to stay together in tightly-knit groups, or if a lone bird is present, it will usually attach itself to a flock of pied stilts or less often to a flock of bar-tailed godwits. 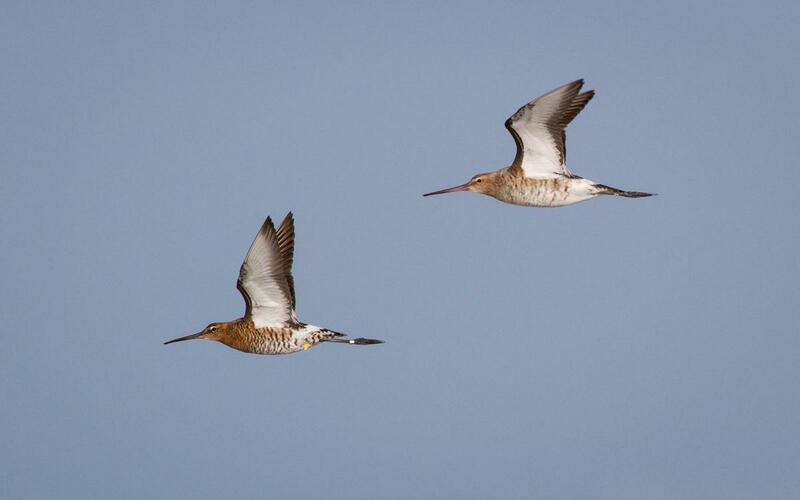 Individuals may spend several years in one locality, either returning each new migration season or sometimes staying year round and apparently not migrating at all. 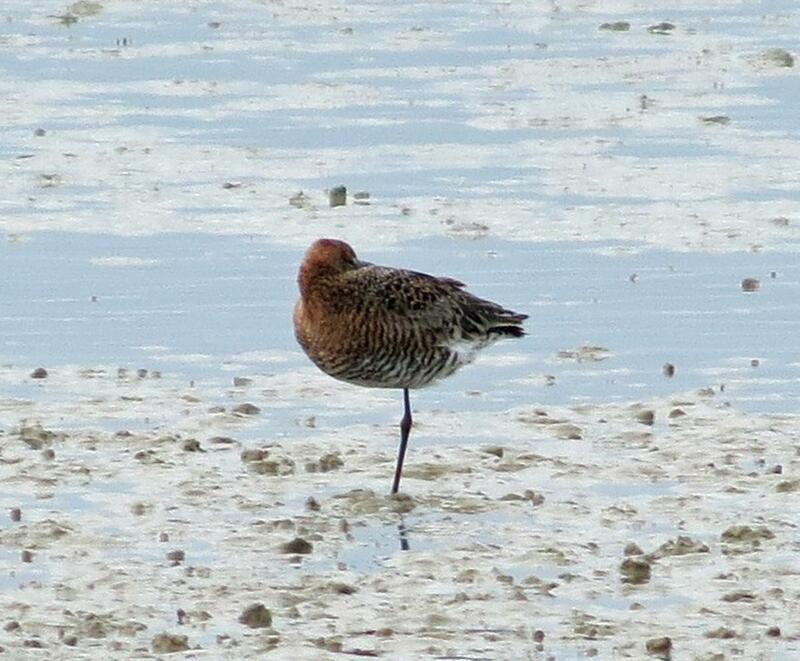 Occasional birds exhibit reverse moult cycles in New Zealand, having bright red breeding plumage during the southern summer. 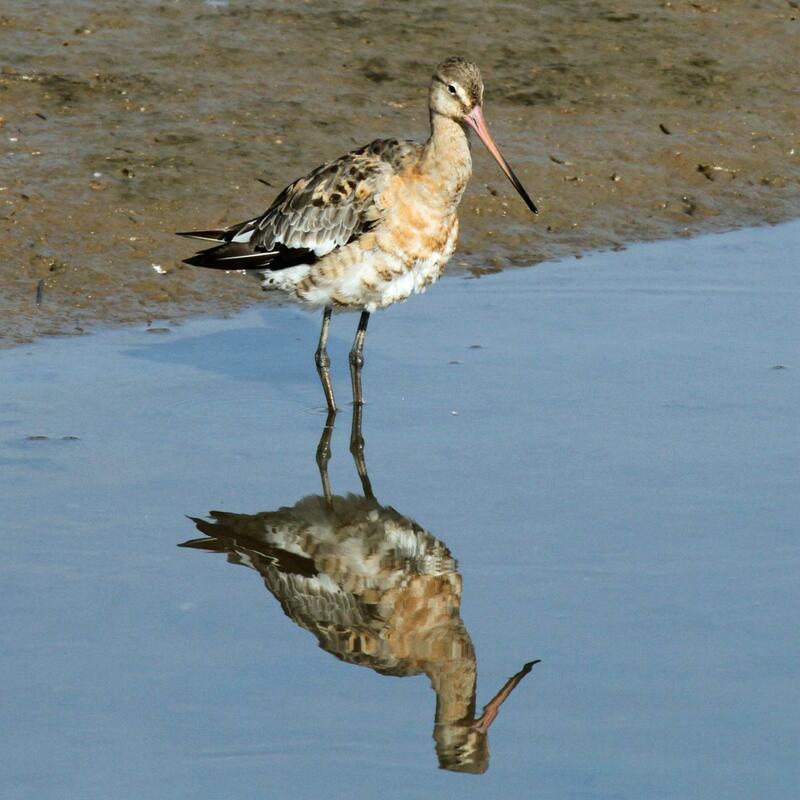 In estuarine habitats, black-tailed godwits forage mainly by probing to catch marine worms, shellfish and crabs. 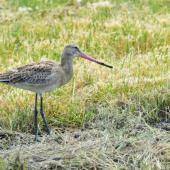 On grasslands they forage for earthworms, fly larvae and other insects. No New Zealand data. Chandler, R. 2009. 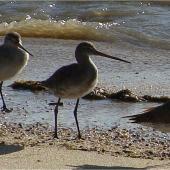 Shorebirds of the Northern Hemisphere. Christopher Helm, London. Turbott, E.G. (Convener) 1990. 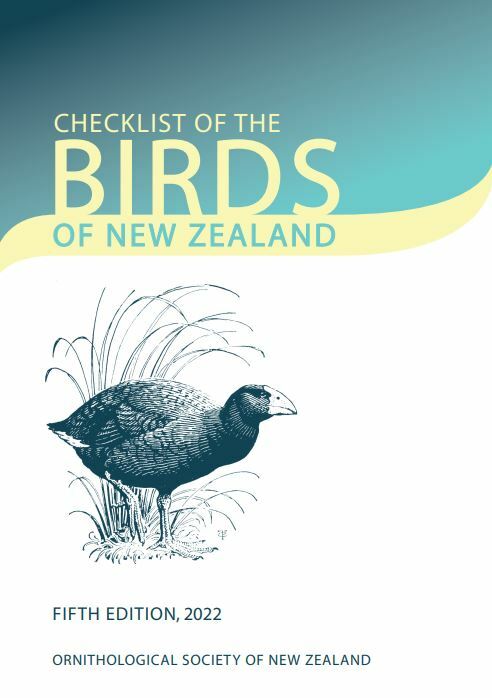 Checklist of the Birds of New Zealand and the Ross Dependency, Antarctica. 3rd edn. OSNZ/Random Century, Auckland. A large long-legged greyish wader with a long, straight, pink bill with black tip, long black legs and long wings. 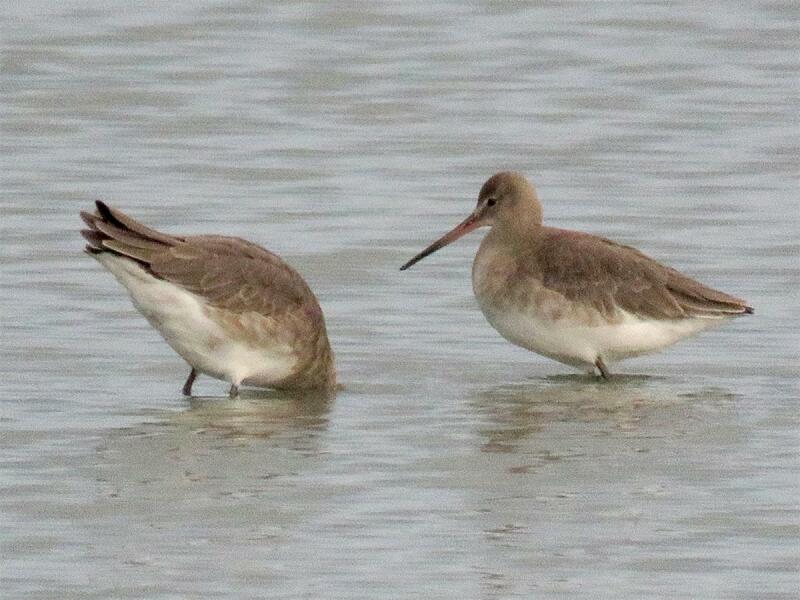 The tail is black and the rump and underwings are white.